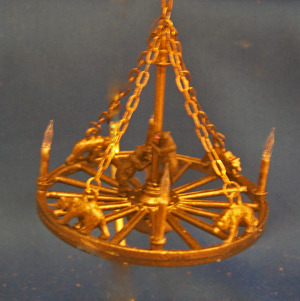 This Bronze Finish Wagon Wheel Chandelier is Just Perfect for a Log Cabin or Lodge. The Support Chains are Anchored to Four Little Bears While Two Black Bears are Ready to Shimmy up the Support Rod. The Four Lights have Replaceable Bulbs. 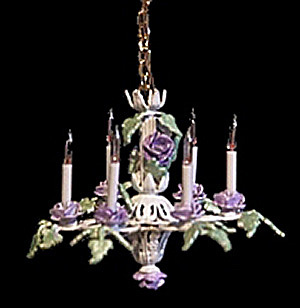 This chandelier is available in a non electric version at a lower price. The fixture would have wax candles in place of the electric bulbs. Contact us for price and details.